Use the Analog Input block to acquire live analog data from a data acquisition device into Simulink. The acquired data is processed in Simulink and uses the Analog Output block to output data to a data acquisition device. It shows how a Simulink model can communicate with different subsystems in the same model. In this case, the data acquisition device used is from National Instruments®. 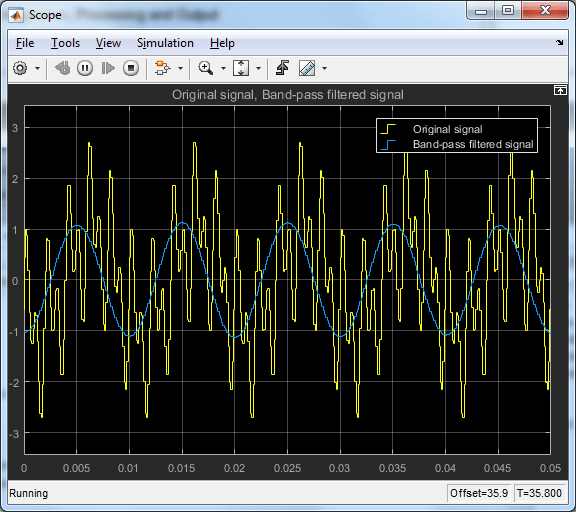 This example shows how to use the Analog Input block to acquire live signals from a data acquisition device into Simulink. The block uses a National Instruments(R) USB-6211 as the input device. 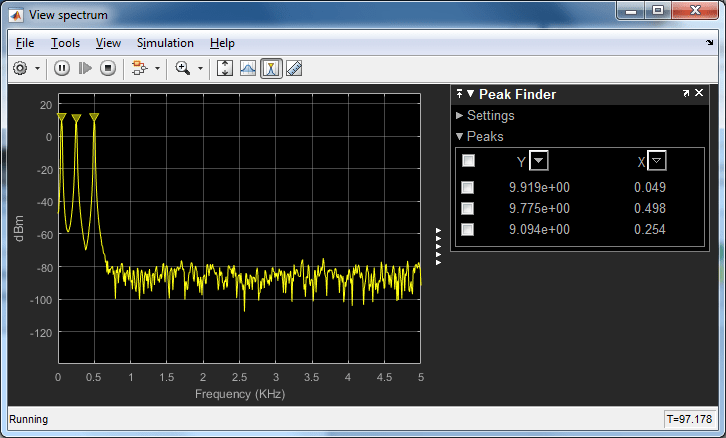 The Simulink model uses a spectrum estimator to output a power spectrum estimate of a time-domain input using Welch's method of averaged modified periodograms.